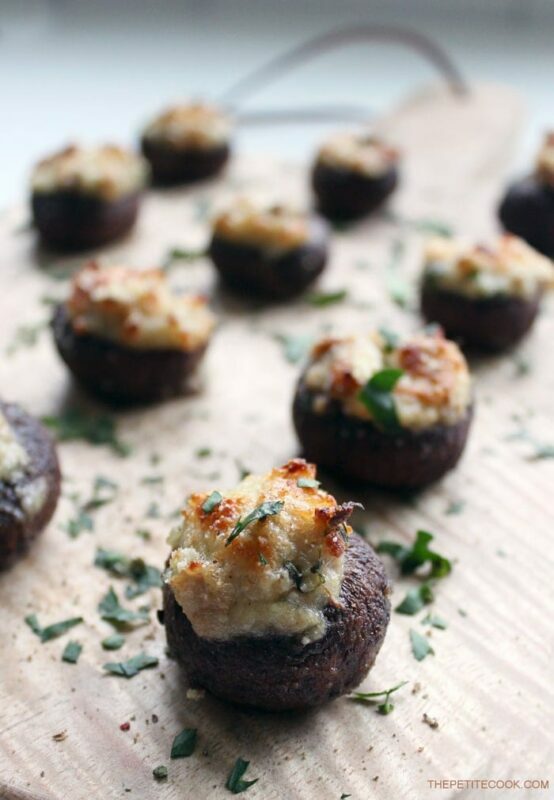 Easy Stuffed Mushrooms are such a classic and versatile appetizer for all occasions – especially holidays. 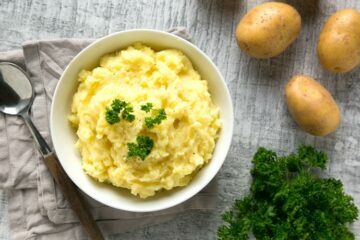 But easy enough to prepare as a side dish for any day of the week. 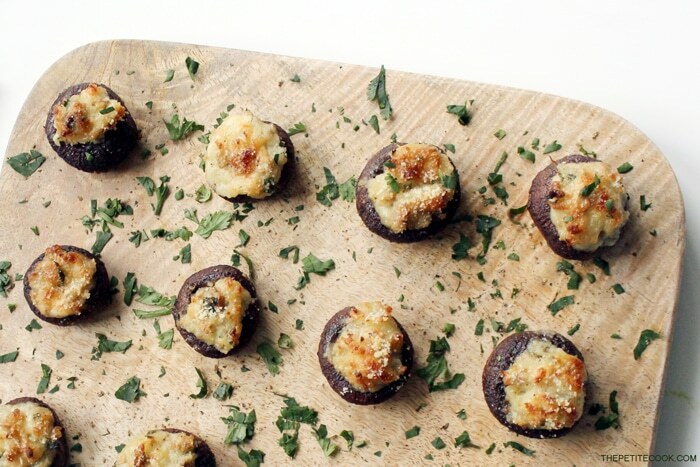 Stuffed mushrooms are one of those finger foods everyone should be able to make. 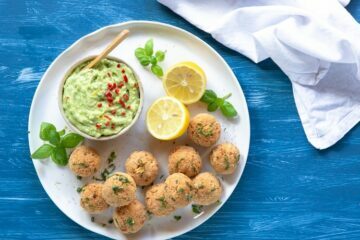 Great for parties and to share with friends, tiny stuffed mushrooms are just so easy and simple to prepare you will wonder why you didn’t try them before! 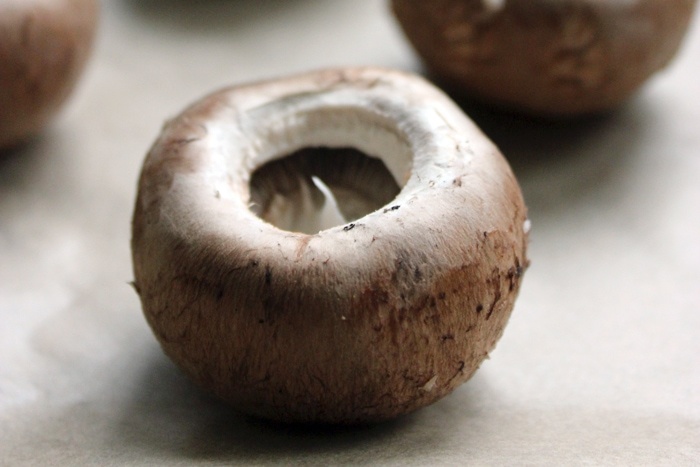 To make these petite stuffed mushrooms use regular button mushrooms, or the brown creminis, they’re both perfect for stuffing. 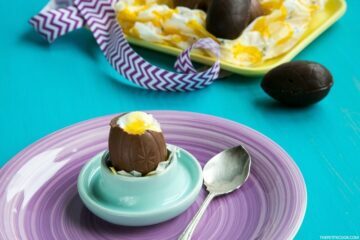 Once you master the classic filling, you can get as creative as you like with the ingredients, just use anything you fancy (or you find in the fridge). This starter recipe is a an evergreen classic and is ready in just about 15 mins. 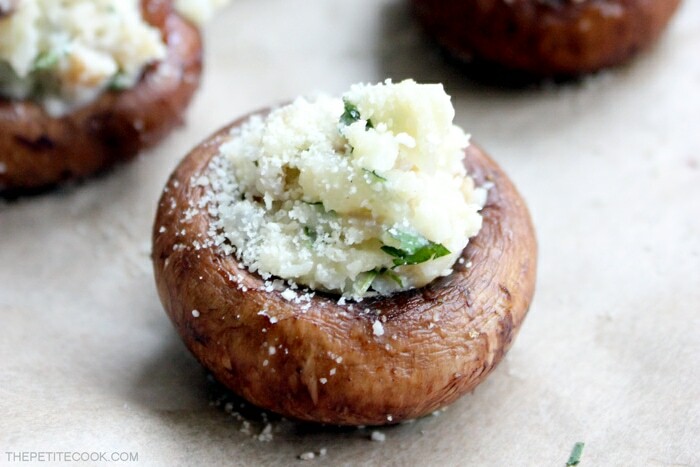 All you need to make pretty-looking tasty stuffed mushrooms is 5 simple ingredients including: nuts, herbs, garlic, mushrooms, breadcrumbs, and grated Parmesan (optional). I quickly stir fry the chopped mushroom stems with some garlic, then I just mix in the remaining ingredients and in a blink I’m ready to fill my mini mushrooms. They only require 10 mins baking time in the oven, then just serve them straight away with some chopped herbs on top. 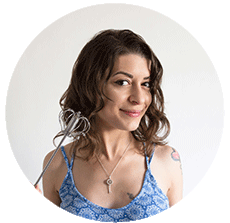 Of course you can play with the ingredients, whether you want to go gluten-free like I did (I used crumbled rice crackers) or you want to keep the recipe 100% dairy-free and vegan ( so just avoid the Parmesan cheese or use a vegan alternative). Don’t be afraid to swap the herbs with the ones you have available, whatever flavour combo you use, I’m sure these mushrooms will be hard to stop eating! These easy stuffed mushrooms would make a great starter for your holiday dinners. They’re easy, light and conveniently vegetarian, gluten-free and dairy-free. They make just the perfect bite-sized savory treat to share at New Year’s eve or at your next party! 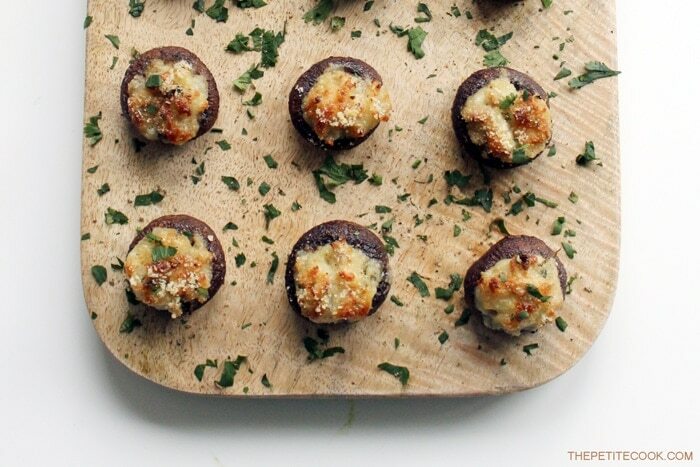 Do you have a favorite filling for stuffed mushrooms? If so, please let me know about it in the comments, I’d love to hear your favorite combos :). Or even better, snap a picture and tag #thepetitecook on Instagram! I can’t wait to see your holiday creations! Remove the stalks from your mushrooms and reserve for later, then toss the mushroom caps in a little oil, salt and pepper. Lay them upside down on a baking tray ready to fill them. 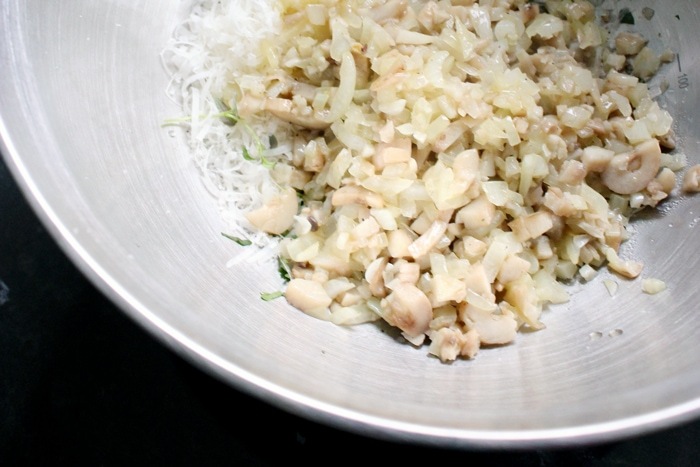 Transfer the mixture in a large bowl, and add breadcrumbs, aromatic herbs and parmesan cheese (optional). Season with salt and pepper to taste. Carefully spoon in the filling, sprinkle a little extra Parmesan over the top if you like, and bake in the oven until crispy and golden, about 12 minutes. Serve them on a big plate with sprinkled parsley on top.